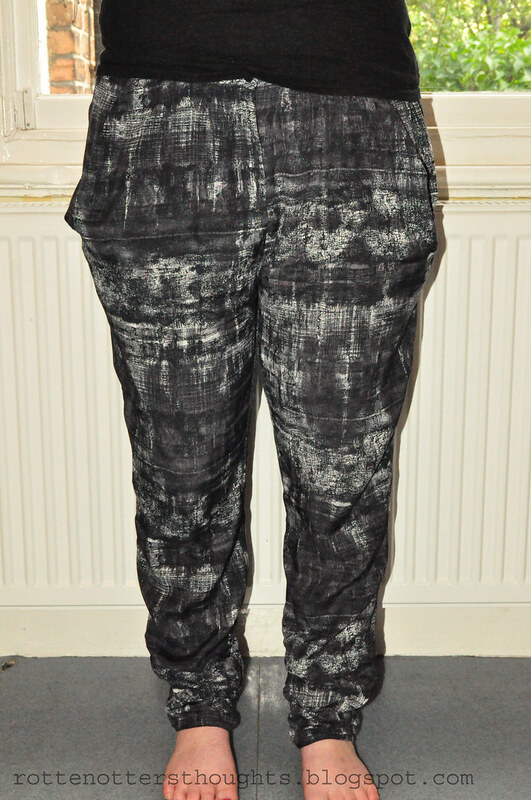 From my printed trousers post I decided to buy these ones from Topshop for £38. They arrived the other day and I love them! As they are ruched at the bottom they fit my short legs perfectly! I love that they have pockets too, I’m really glad I bought them. I can’t wait to wear them with some killer heels for a night out and then a slouchy t-shirt for the day. This is also my first photo using my new tripod! I cant wear herams im to short.